As reported earlier on this blog, the latest (and final) attempt to reach unanimity among the 27 EU member states with regard to a common EU patent failed because of diverting attitudes among the member states towards the language regime. 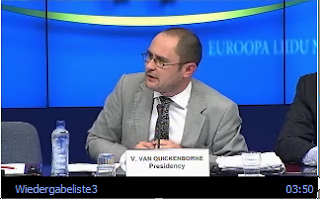 The disappointing result of the extraordinary Competitiveness Council of 10 November 2010, in which the Belgian Presidency placed a final compromise text (documents 5395/10 and 15395/10 ADD1) on the table, have been summarised in a press conference by Mr Vincent Van Quickenborne: "things are clear now: there will never be unanimity on an EU patent". He said that one of the 27 delegations "apparently did not have a mandate to negotiate", so that "other avenues in the [Lisbon] treaty will now have to be considered, i.e. an enhanced co-operation between a smaller group of willing EU members. Yesterday, German daily newspaper Frankfurter Allgemeine Zeitung published an article (automatic English translation), according to which "a low-cost EU patent is within reach", because Germany and numerous other countries are now pressing forward without the "brakemen" Italy, Spain and Poland. 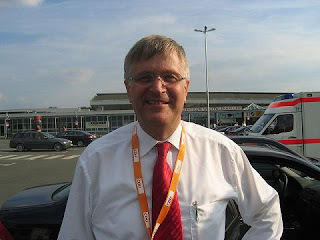 According to that article, German State Secretary Peter Hintze said after Tuesday's Competition Council meeting that up to 20 EU member states had agreed on an enhanced co-operation, based on the approach that EU patent applications are filed and granted in one of the three official EPO languages (English, French, German), whereas - apart from a mandatory "courtesy translation" in English - other translations would not any more be required. While Germany is said to soon submit a formal request to start the enhanced co-operation procedure, Italy finds itself taken by surprise by that initiative. An Italian representative therefore threatened to put the language issue on the agenda of the EU summit in December, whereas, however, other delegations did not appear to be overly frightened of Italian Prime Minister Silvio Berlusconi banging on Brussel's table. Further, Mr Hintze is reported to be optimistic that the EU patent can become reality already in the first half of 2011, which is, even for a politician, indeed optimistic. Italy found itself in a political squeeze on Thursday (25 November) as several key European countries moved to create a unified patent to protect the design of products sold across their borders. [...] Sweden, Germany, the United Kingdom, Ireland, the Netherlands, Slovenia and Estonia said they will formally ask the European Commission to help them write a common patent agreement based on "enhanced cooperation" between those countries. [...] Frenchman Michel Barnier, the EU's commissioner for the internal market and services, [...] said he would act rapidly on the request for enhanced cooperation on a new patent, and present a proposal to the Competitiveness Council at its meeting on 10 December. It was a bold and rarely used tactic to pressure Italy to drop its demand that Italian be one of the official languages of an EU patent [...], however, Italy appears ready to fight any proposal about enhanced competition on patents. "This is not possible," said Giuseppe Pizza, Italian secretary of state, claiming such action would undermine the internal market of the EU. Surprisingly, Spain is no longer insisting that Spanish also be an official patent language, while Poland took Italy's side and requested another round of negotiations. France, the Czech Republic and Malta all said they were prepared to explore and analyse a Commission plan for enhanced cooperation on a patent. The Commissioner of Patents' decision on appeal of 2009 was thus reveresed and the case was remanded to the Patent Office for "expedited re-examination". he erred in finding that an "invention" as defined the Patent Act need not display a technological aspect. He erred in characterising the 1-click invention, as defined by the system claims, such that if fell within the scope of the terms "machine", as used in the defintion of "invention" in the Patent Act. We shall wait and see - and regularly observe the blogoshere. 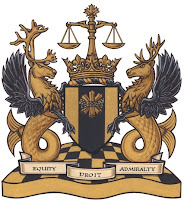 On February 4, 2010, the Federal Court of Justice (Bundesgerichtshof, BGH) ruled in a second-instance nullity action that it is sufficient for "technicality" (or a technical character) of a claim if the respective teaching is "embedded in a technical apparatus" (cf. Xa ZR 4/07, Glasflaschenanalysesystem ("glass bottle analysis system"), automatic translation see here). This decision has been issued by the Xa. (10th auxiliary) Civil Panel under Chief Judge Peter Maier-Beck which has also issued the much discussed decision Xa ZB 20/08 ("Dynamische Dokumentengenerierung") in favour of patentability of a software-related invention, namely a client-server system for dynamically generating structured documents such as XML or HTML documents (see earlier post). The patent in suit, European patent EP 643 297, relates to a system for analysing, monitoring, diagnosing and/or controlling a process for manufacturing packaging glass products. 1. An analytical system (1) for analyzing, monitoring, diagnosing and/or controlling a process for manufacturing packaging glass products (4) said analytical system (1) being provided with an infrared-sensitive sensor system (24) and a digital processor (30) connected therewith, said infrared-sensitive sensor system (24) detecting infrared radiation emitted by warm products in the section directly after the glass-shaping process, and said digital processor (30) determining the energy distribution in the material of the shaped product and energy differences between different parts of the shaped product by means of information from the products obtained with said infrared-sensitive sensor system wherein said energy distribution and/ or energy differences are compared with criteria, obtained by means of a mathematical reference model, for determining deviations in glass distributions and causes leading to thermal stresses in the product. Independent claim 11 is directed to an "apparatus for producing packaging glass products [...] provided with an analytical system according to [claim 1]". In the first-instance nullity action before the Federal Patent Court (Bundespatentgericht, BPatG), the plaintiff (and accused infringer in a parallel infringement suit) argued lack of inventiveness and insufficient disclosure, but the Patent Court dismissed the case (BPatG 4 Ni 10/05 (EU) of 08.11.2006). The plaintiff then appealed the decision but substantiated in his grounds of appeal only the alleged lack of inventiveness - but not insufficient disclosure. In that situation, the Court of Justice ruled that the appeal was inadmissible to the extent of the unsubstantiated ground for invalidity, i.e. the alleged insufficient disclosure. With respect to the remaining lack of inventiveness attack, the Court of Justice took the same position as the Patent Court, namely that the claimed subject-matter is inventive over the cited prior art. Within the assessment of inventiveness, the Court of Justice also had to address the question, whether or not independent claim 1 involves "technicality" (i.e. a technical character) and found that the claimed "analytical system" exhibits the required technicality just offhand, since it is sufficient for the requirement of technicality that the teaching in question is embedded in a technical apparatus. This ruling is perfectly in line with the Court of Justice's decision X ZB 22/07 („Steuerung für Untersuchungsmodalitäten“) of January 20, 2009, according to which a software that is embedded in a larger technical system may represent statutory subject-matter (see earlier post). That decision was assumed to represent a turnaround of the Court of Justice's approach to assess technical character of an invention towards that of the Boards of Appeal of the European Patent Office, which has been generally confirmed by the EPO's Enlarged Board of Appeal on May 12, 2010 in the opinion on referral G 3/08 (see earlier post). In early October 2010, the US Board of Patent Appeals and Interferences (BPAI) issued three interesting decisions relating to computer-implemented inventions in the US, namely (i.) Ex parte MacKenzie, App. No. 10/183,900, (ii.) Ex parte Kelkar, App. No. 10/629,448, and Ex parte Venkata, App. No. 11/182934. A brief overview of these opinions can be found on Dennis Crouch’s Patently-O blog. In Ex parte MacKenzie (Appeal No. 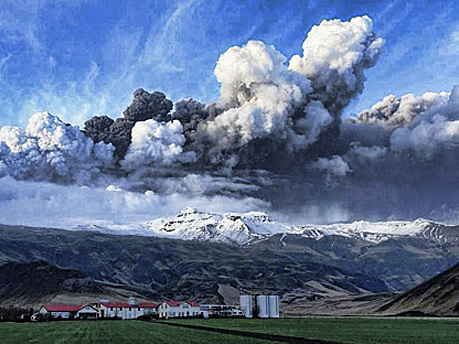 2009-7332), the applicant presented independent method claims 1 and 9 and corresponding independent apparatus claims 17 and 18. Theses claims sought protection for a technique for sharing the DSA signature function, so that two parties can efficiently generate a DSA signature with respect to a given public key but neither can alone. The Board rejected the claims under 35 U.S.C. § 101, since the method was directed to an abstract idea, as affirmed by the US Supreme Court in Bilski v. Kappos, and remanded the case to the examiner for further prosecution. outputting a form of the first component and the second component as a result of the DSA signature operation. abstract software code is an idea without physical embodiment (Microsoft Corp. v. AT&T Corp., see also here and here). With this background in mind, the Board entered a new ground of rejection under 35 U.S.C. § 101 as being directed to non-statutory subject matter, because the claims relate an abstract process. the claimed invention is directed to software per se, abstract ideas, abstract intellectual concepts and the like, including mathematical variables as software components, such as the claimed first component and second component and a mathematical algorithm, such as the claimed [method]. the claimed method sets forth abstract intellectual concepts embodying the invention, which is fundamentally directed to a mathematical algorithm. To the extent recited in claim 1, the first and second components appear to be variables in a mathematical equation (DSA algorithm) that is presented in combination with a nominal claim to generic structures, such as the claimed “devices. Analogously, corresponding independent apparatus claims 17 and 18 were also concluded to merely represent a mathematical algorithm (the DSA) in combination with generic structures, such as an apparatus, processor, and memory that are each modified by a statement of intended use. The board thus emphasised that clever claim drafting involving the nominal addition of generic structures cannot circumvent the “abstract idea” principle articulated by the Supreme Court in Bilski v. Kappos, so even when a claim appears to apply an idea or concept in combination with a nominal claim to generic structure(s), one must ensure that it does not in reality seek patent protection for that idea in the abstract. Moreover, claims 17 and 18 were found to be limited neither to a tangible practical application in which the application of the mathematical algorithm results in a real-world use nor to encompass not substantially all practical applications of the mathematical algorithm (cf. Ex parte Gutta, see also here). otherwise setting the filter length to one, measured in terms of a number of pixel values. 11. A computer program comprising computer program code means adapted to perform all the steps of claims 1 to 4 when the program is run on a computer. Oral proceedings were held on 5 March 2009 in the absence of the appellant. At the end of the oral proceedings, the chairman announced that the proceedings would be continued in writing. The Board informed the appellant in a Communication dated 26 March 2010 that it had formed the opinion that the subject-matter of claims 1 to 10 of the main request was patentable and that the Board intended to stay the appeal proceedings until the opinion of the Enlarged Board of Appeal in case G 3/08 was available, since requested claims 11 and 12 were directed to a computer program. The referral claimed a divergence between decisions T 1173/97 (Computer program product/IBM), placing the emphasis on the function of the computer program rather than the manner in which it is claimed (e.g. as computer program, computer program product, or computer-implemented method), and T 424/03 (Clipboard formats I/MICROSOFT), which placed emphasis on the manner in which the computer program was claimed. Following the reasoning of the latter decision, only a claim of the form "computer program for method 'X'" could possibly be excluded from patentability as a computer program as such, whereas claims of the form "computer implemented method 'X'" or "computer program product storing executable code for method 'X'" would not be excluded, irrespective of the nature of the method 'X'. a claim which specifies no more than e.g. "Program 'X' on a computer-readable storage medium" will overcome the exclusion of Art. 52 (2), (3) EPC but will lack an inventive step pursuant Art. 56 EPC. The instant decision: The present Board thus concluded that the Enlarged Board of Appeal found, inter alia, that there was no (real) conflict between T 1173/97 and T 424/03 and that the definition of the "further technical effect" given in decision T 1173/97 stood as the established case law. Regarding instant claims 11 and 12, the board then examined whether the subject-matter of claims 11 and 12 has a technical character because the claimed program, when run on a computer, causes a "further technical effect", as required by T 1173/97. It was observed that computer programs of claims 11 and 12 have the effect that, when run on a computer, luminance flicker in a video image sequence comprising a plurality of video images produced by a camera (and input into the computer) is reduced. 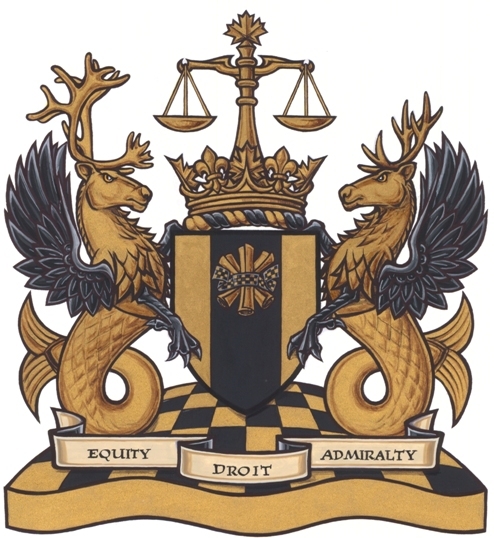 The board thus concluded that this effect is a "further technical effect" as required by established case law, such that the computer programs of claims 11 and 12 are not objectionable under Art. 52 (2), (3) EPC. I just came across the very interesting decision T 784/06 of an EPO Technical Board of Appeal, relating to the rather new scientific discipline of bioinformatics, i.e. the application of computing and mainly statistical methods to DNA sequencing, e.g within the framework of the Human Genome Project. Not only that this decision presumably is the first bioinformatics case dealt with by a Technical Board of Appeal, it also demonstrates the EPO approach towards computer-implemented inventions (although with some "twists"), as presented in T 641/00 (Comvik, 1992) and recently confirmed in G 3/08 by the Enlarged Board of Appeals (see also here and here). Some supplementary information on patenting of bioinformatics inventions can be found on Phamalicensing.com. determining the genotype based on the data obtained from step (D). 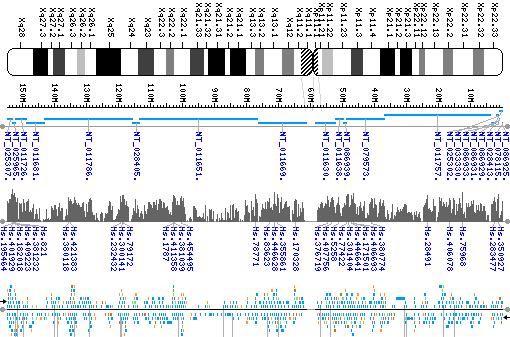 An essentially parallel device claim 22 was directed to device for determining the genotype at a locus within genetic material obtained from a subject executing the method according to claim 1. Technical features: The proprietor (Beckman Coulter, Inc.) held that all steps A to E are technical, while the opponent (Roche Diagnostics GmbH) argued that steps B to E relate to pure mathematical operations and thus have to be considered non-technical. The Board came to the conclusion that claim 1 represents a five-step method (steps B to E) for determining the genotype at a locus within genetic material, operating on the data acquired in leading reaction step A to produce a first reaction value. Each of steps B to E was assessed as to only relate to mental activities, so that the claim represents a mixture of technical (step A) and non-technical features (steps B to E). Patentability: As to the general question of patent-eligibility according to Art. 52 (2), (3) EPC, such a claim has to be considered having the required technical character, since for determining whether or not a claim exhibits a technical character (i.e. the claim does not relate to a mathematical method, mental act, or computer program as such) the presence of non-technical features is irrelevant. Adapted problem/solution approach: It is established case law that non-technical features relating e.g. to mental activities, mathematical operations, or commercial steps cannot contribute to novelty and inventiveness of a claim because such features are deemed to be in the prior art. Since, by definition, non-technical features are known by the skilled person, however, they may be considered when deriving the objective technical problem from the technical differences between the instant claim and the closest prior art. This so-called adapted problem/solution approach was developed in T 208/84 (Vicom) and T 641/00 (Comvik) and recently confirmed by the Enlarged Board of Appeal's opinion on case G 3/08. Tangible technical result: For assessing inventive step, the Board of Appeal had to observe whether the mental activities of steps B to E are non-technical features or whether theses steps interact with technical step A "so as to yield a tangible technical result", whereas the term "tangible result" appears a bit strage in a Board of Appeals' argumentation regrading non-technical features of a computer-implemented invention, since this term has not yet been used in the pertinent case law. In fact, it was the famous US CAFC decision "State Street Bank" which found that "a claim is eligible for protection by a patent in the United States if it involved some practical application and it produces a useful, concrete and tangible result". The so called "useful, concrete and tangible result test" for assessing patent-eligible subject mater was later substituted by the "machine or transformation test" in the CAFC decision In re Bilski which, in turn, was rejected by the US Supreme Court in its Bilski vs. Kappos ruling (see my earlier postings here and here). Non-technical features: The Board of Appeal observed that steps B and C of are indeed very generally formulated, whereas the specification is in this respect no more generous than the claims in terms of information and the “Summary of the Invention” is no more that a mere repetition of the claims and an outline of the flow of data treatment with no concrete details. an unspecified embodiment wherein the data treatment is carried out using computer processing employing a computer software called "GetGenos". This section does not provide a truly useful example of how to proceed within the framework of the outlined method. In fact, the mathematical reasoning starting from an actual experimental value determined according to step A and ending with the determination of a precise genotype according to step E is not described in detail. Moreover, it fails to supply a reasonably complete and sufficient description of the software "GetGenos" especially developed by the inventors to produce GBA data [...]. This deficiency is remedied neither by the mathematical formulae referred to […] nor by the mere code lines written in C language contained in Appendix A […], which […] serve the purpose of generating probability distributions. No informational content can be attributed to the constants, variables and functions mentioned therein. Based on this observations the Board of Appeal took the position that, based on the disclosure, a skilled person cannot "understand how to proceed from the first reaction value collected in step A through steps B, C and D to the determination on a probabilistic basis of the genotype of step E" and concluded that "no interaction can be established between the technical activity of step A with the mental activities of steps B to E leading to a tangible technical result, as required by the case law". Lack of inventive step: The Board concluded that steps B to E only relate to a general manner of data analysis and are thus to be ignored in assessing inventive step, so that the claimed method of determining the genotype was technically only limited by "the general and broad wording of step A". Such a method, however, could easily be identified in the cited prior art. The Board thus concluded that the claimed subject matter does not meet the requirements of Art. 56 EPC and revoked the patent. Comments: It comes as a surprise, that the Board argued that steps B to E are non-technical based on the finding that no reasonably complete and sufficient disclosure exists that may clarify an interaction with technical step A "so as to yield a tangible technical result". In my opinion, this argumentation rather relates to insufficient disclosure according to Art. 83 EPC, which even was raised by the opponent as a ground for opposition pursuant Art. 100 b EPC. If the lack of disclosure really is decisive for features B to E being non-technical, the immediate question arises whether a more complete disclosure could have potentially prevented this objection. a basic difference between a mathematical method and a technical process can be seen [...] in the fact that a mathematical method or a mathematical algorithm is carried out on numbers [...] and also provides a result in numerical form, the mathematical method or algorithm being only an abstract concept prescribing how to operate on the numbers. [...] In contrast, if a mathematical method is used in a technical process, that process is carried out on a physical entity (which may be a material object but equally an image stored as an electric signal) by some technical means implementing the method and provides as its result a certain change in that entity. [...] Even if the idea underlying an invention may be considered to reside in a mathematical method, a claim directed to a technical process in which the invention's method is used does not seek protection for the mathematical method as such (see also T 208/84, T 1161/04). That is, mathematical operations are to be considered technical if the claim specifies what physical entity actually is represented by the mathematically processed data, i.e. if the processed data itself is technical, such as control parameters of a technical process or the like. A richer disclosure that clearly specified the concrete relationship between technical step A and mathematical steps B to E as well as some technical effects of those steps could certaily have helped to argue that steps B to E interact with step A in a technical way ("so as to yield a tangible technical result") and thus have to be considered when assessing inventive step. This finding arrived at by reasoning an absence of interaction from a lack of detailed disclosure is somewhat surprising, in particular since it seems to lose sight of the intended focus on the solution of a technical problem. The decision thus [...] does not answer the question of whether such mathematical steps more or less necessarily performed by computer processing might in principle make technical contributions in biotechnology [...]. Nor do we know for the moment how a "tangible technical result" can reliably be achieved or how specific the disclosure must be to establish the required interaction. 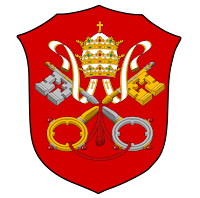 The Holy See (Sancta Sede) - not to be confused with the Vatican City over whose independent territory the Holy See is sovereign - is a subject of international law just as other states. Its possession of full legal personality in international law is shown by the fact that it maintains diplomatic relations with 178 states and that it is a member state in various intergovernmental international organizations, such as the United Nations and the WIPO. At the meeting of the WIPO General Assemblies on 21 September 2010, H.E. Archbishop Silvano M. Tomasi, Permanent Representative of the Holy See to the United Nations, held a speech on the Holy See's view on intellectual property rights in the context of economic development of poor countries, which he also published on his blog Nunzio-UN. The world's wealth is growing in absolute terms, but inequalities are on the increase. In rich countries, new sectors of society are succumbing to poverty and new forms of poverty are emerging. In poorer areas some groups enjoy a sort of “superdevelopment” of a wasteful and consumerist kind which forms an unacceptable contrast with the ongoing situations of dehumanizing deprivation. [...] Corruption and illegality are unfortunately evident in the conduct of the economic and political class in rich countries, both old and new, as well as in poor ones. Among those who sometimes fail to respect the human rights of workers are large multinational companies as well as local producers. International aid has often been diverted from its proper ends, through irresponsible actions both within the chain of donors and within that of the beneficiaries. Similarly, in the context of immaterial or cultural causes of development and underdevelopment, we find these same patterns of responsibility reproduced. On the part of rich countries there is excessive zeal for protecting knowledge through an unduly rigid assertion of the right to intellectual property, especially in the field of health care. At the same time, in some poor countries, cultural models and social norms of behaviour persist which hinder the process of development. Economists recognize several mechanisms through which Intellectual Property Rights (IPRs) may stimulate economic development: these are interdependent so that a broad view of incentives associated with IPRs is appropriate. They devote much attention to this issue, but evidence to date is fragmented and somewhat contradictory, in part because many of the concepts involved have not yet been measured. A stronger system of protection could either enhance or limit economic growth. While strengthening IPRs has potential for enhancing growth and development in the proper circumstances, it might also raise difficult economic and social costs. Indeed, developing economies could experience net welfare losses in the short run because many of the costs of protection could emerge earlier than the dynamic benefits. This situation explains why it is often difficult to organize a convergence of interests in favor of reform of intellectual property in developing countries. The adoption of stronger IPRs in developing countries is often defended by claims that this reform will attract significant new inflows of technology, a blossoming of local innovation and cultural industries, and a faster closing of the technology gap between developing and developed countries. It must be recognized, however, that improved IPRs by itself is highly unlikely to produce such benefits. These few observations want to underline the conviction that the main goal of the international community in developing a fair regime of intellectual property rights should aim toward the good of all, the pursuit of more equitable international relations, especially with regard to poorer and more vulnerable people. 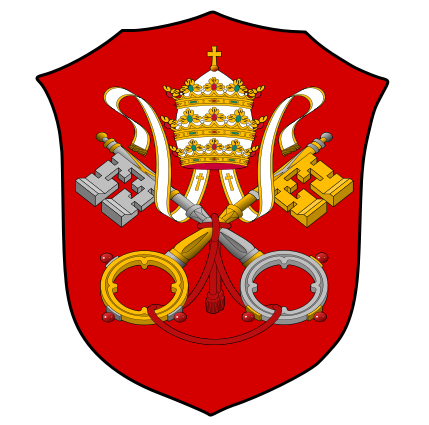 While the concerns expressed in the Encyclical and by Monsignore Tomasi appear comprehensible in view of the anticipated north-south patent conflict, e.g. with respect to patents for urgently needed medicines such as HIV drugs (see also here, here, and here), the situation of IP on technology may look different, since research and creating, protecting and commercially exploiting knowledge is a perfect tool for developing countries to become industrialised societies with reasonable standards of living, functioning education system and efficient health care. It is one of the pillars of modern patent system that monopolies are granted to protect economically poorer but innovative entities from the economic powerful that would otherwise be able to obstruct their economic development. For that reason, Monsignore Tomasi is right to say that "the raison d’être of the protection system of intellectual property is the promotion [...] of inventive activity for the sake of the 'common good'". However, and that's how I understand the Hols See's statements, to foster the "common good" also by means of IPR, it is necessary that the (western) world better understands the potential of intellectual property for supporting social progress instead of focusing too much on IP as a tool to maximise profits.